It was revealed in the game’s message of the day. A recent message of the day post in Call of Duty: Black Ops 4 has revealed the most popular Specialist in the franchise’s latest game—and it may surprise many fans. Many fans likely wouldn’t expect Recon to be that popular, however. 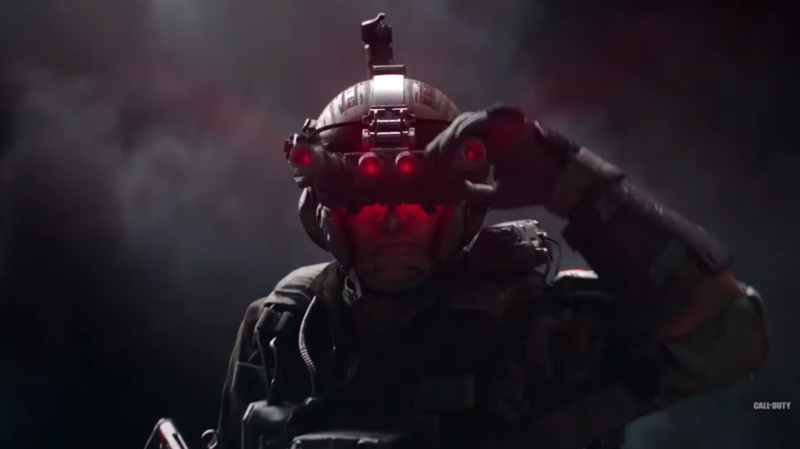 Although his Sensor Dart equipment and Vision Pulse ability are both incredibly useful for locating enemy players, it seems strange that Recon would be more popular than some of the stronger Specialists with actual weapons, like Battery or Prophet. There are a wide array of Specialists to choose from in Black Ops 4—but Recon is among the Specialists that cater more to a support playstyle since he doesn’t have his own unique Specialist Weapon. Recon was frequently used at the first professional Black Ops 4 event of the season, CWL Las Vegas in December. So maybe the fact that pros use Recon convinced some casual players to try the Specialist out for themselves. 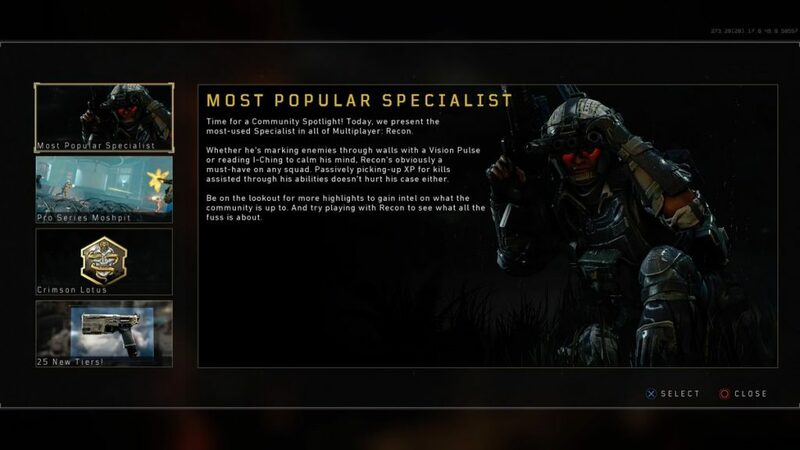 Black Ops 4 has only been out for a few months, though—so it’s possible that Recon could be dethroned as the most-popular Specialist later this year.